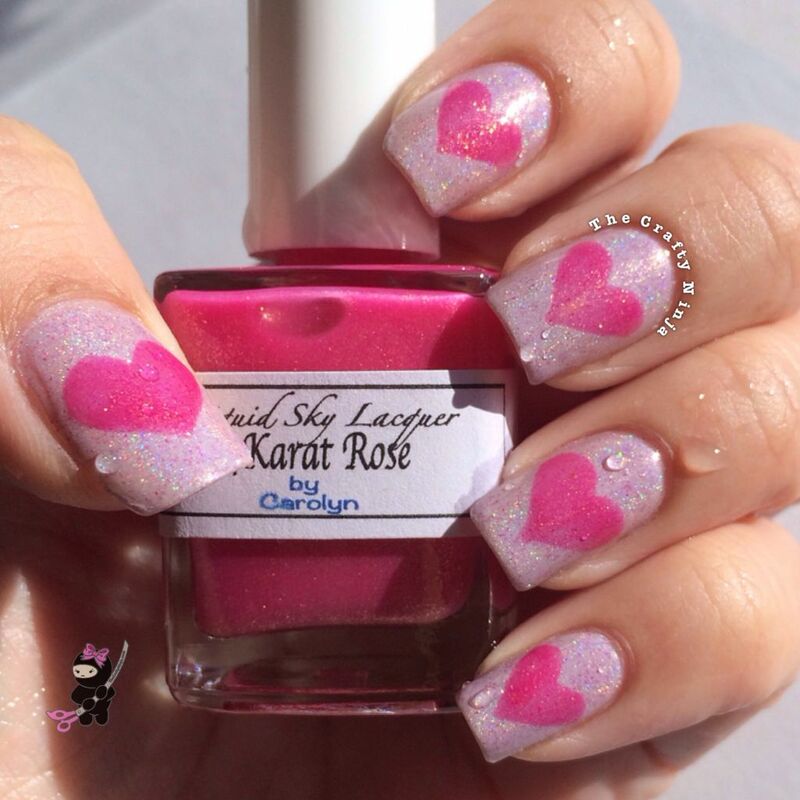 Thermal heart nails are so amazing! 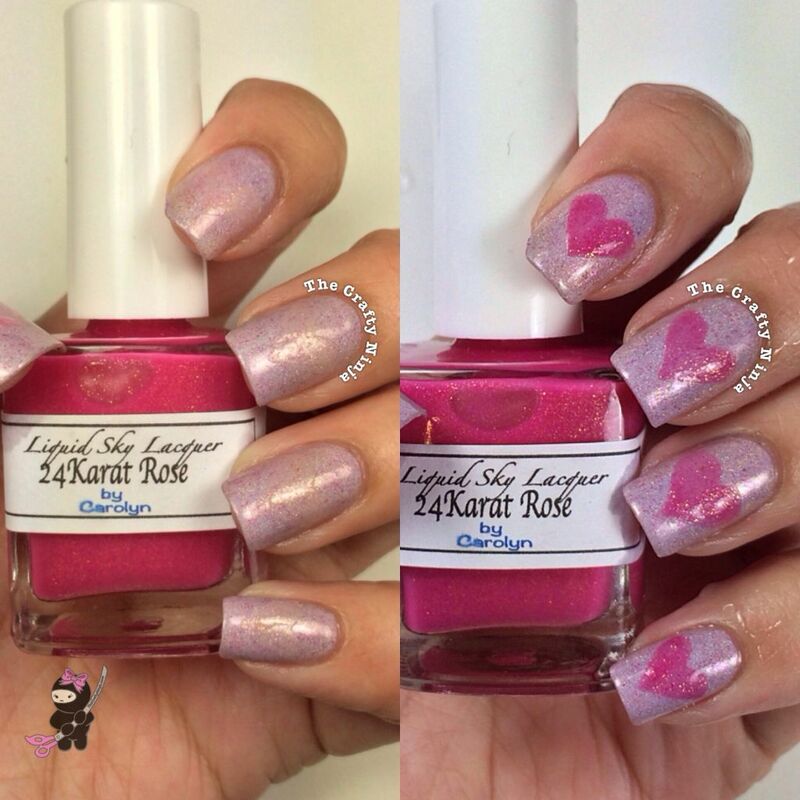 I was trying to think of a fun and creative way to show case Liquid Sky Lacquer Nail Polishes and decided that a color changing heart would be perfect for Valentine’s Day nails. 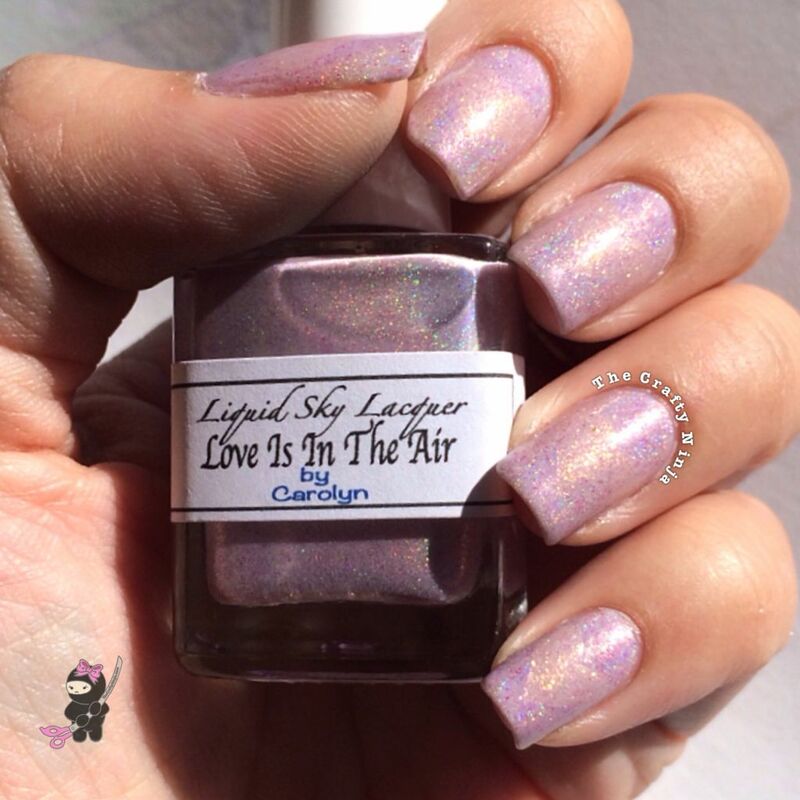 Liquid Sky Lacquer is created by indie polish maker Carolyn who hand mixes these amazing nail polishes, her Valentine’s Day collection will be live today so don’t forget to check it out here! 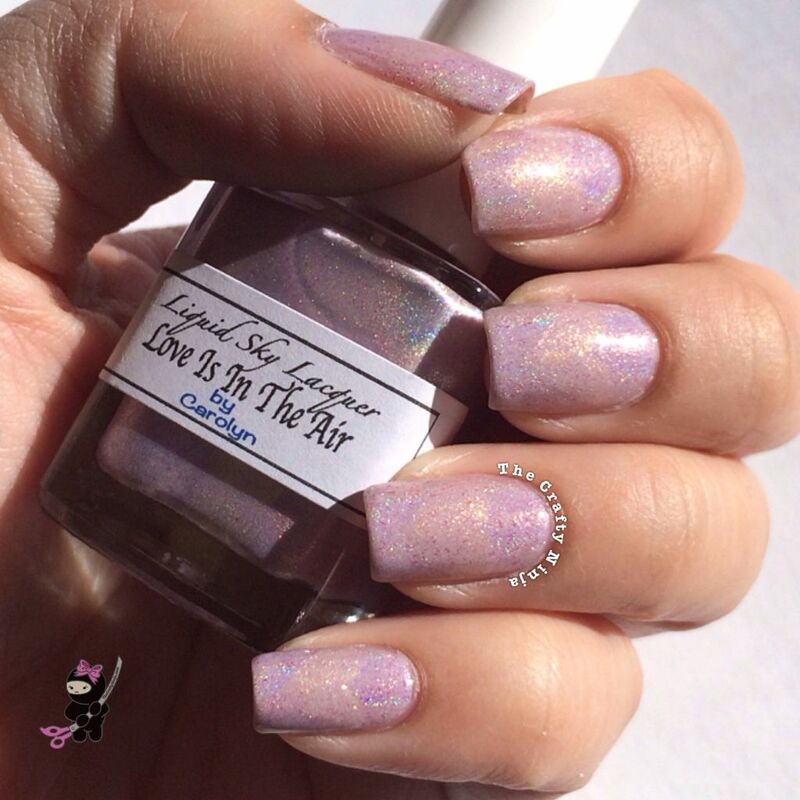 The nail polishes used are Love Is In The Air, which is a pretty perfect pink holographic polish perfect for the upcoming Valentine season; and 24 Karat Rose is a thermal or color changing nail polish which changes color from a light or almost clear polish to a bright pink in cold water or color temperature. 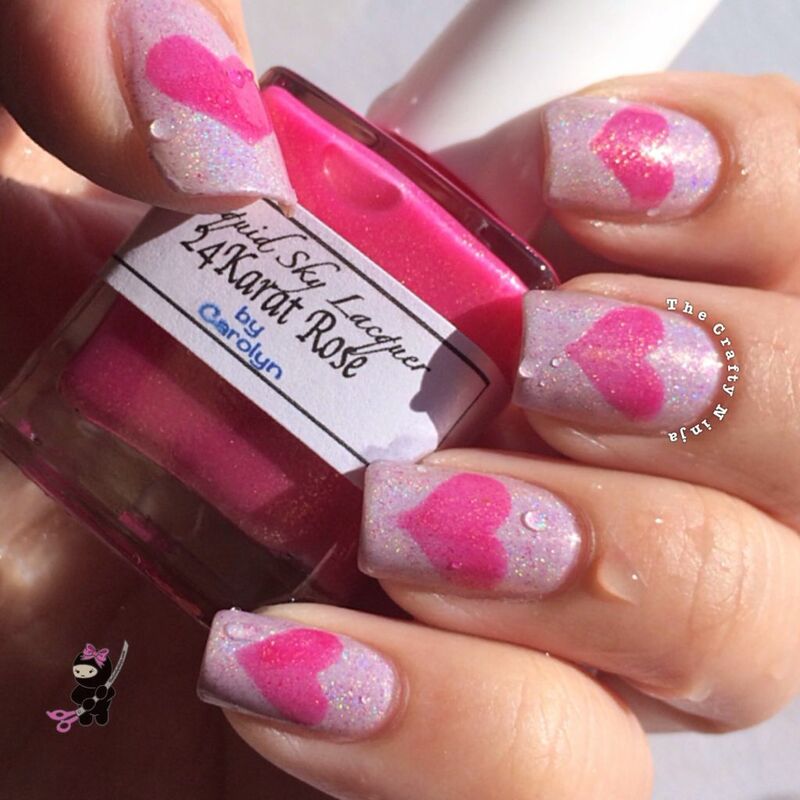 Check out this “magic” trick of making the heart reappear in cold water.